Data and Voice Cabling | Absolute Security, Fire & Design Inc.
All of your communication needs expertly carefully cared for with custom systems designed just for you and your organization. Absolute Security, Fire and Design, Inc. can help you meet all your communications cabling objectives. 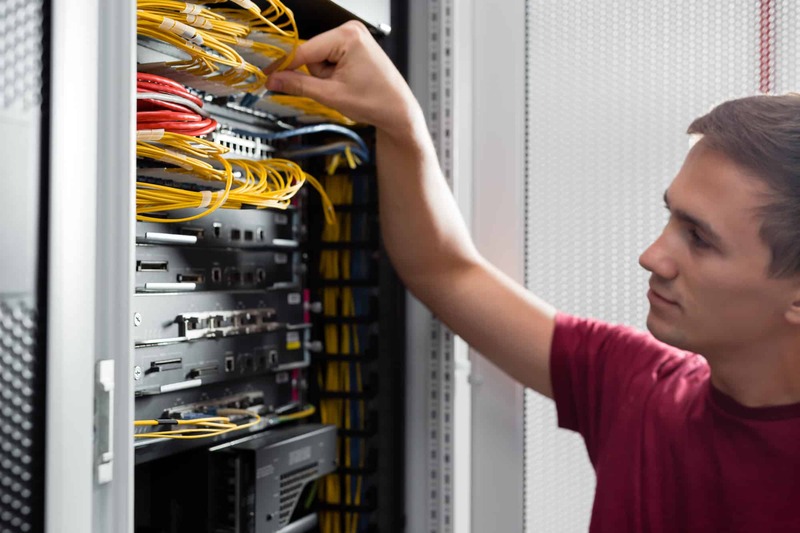 Our installation techniques provide customers with the flexibility to install any combination of VOIP phones, modems and analog lines at any location. Network cabling carries the lifeblood of your organization’s information. Our staff uses a consultative approach to providing your organization with a cost effective, high-quality communications infrastructure that will meet your current and future needs.